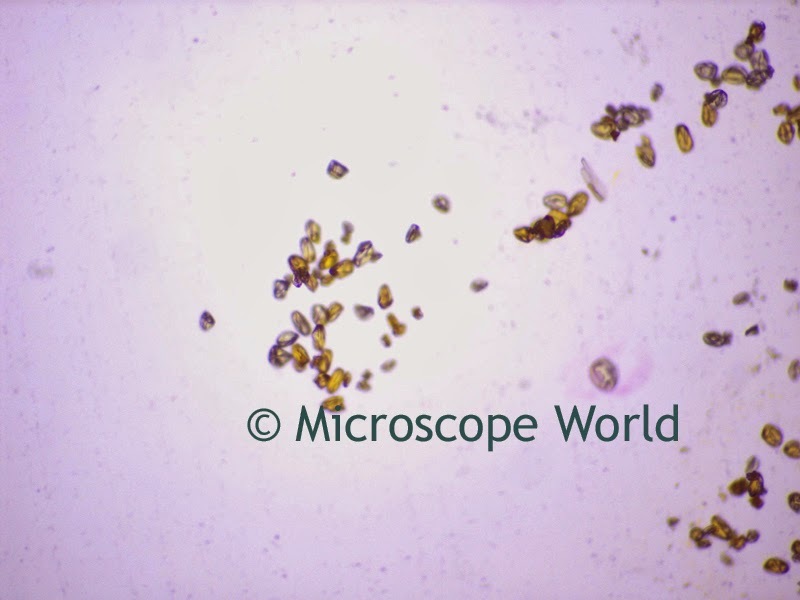 Pollen can be seen under the microscope best at about 400x magnification. 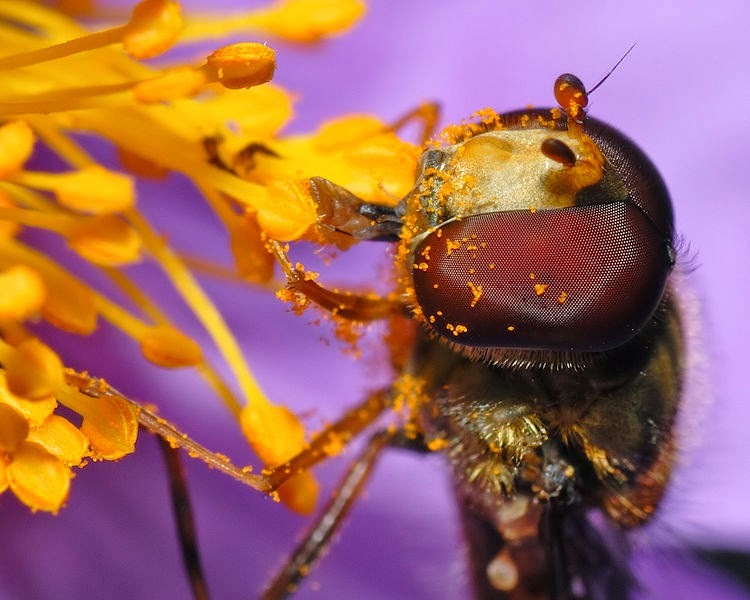 Pollen is the powder that often falls off flower stamens if touched. The bee shown below has yellow pollen on him. The images below of pollen were captured using the U1B biological high school microscope and a 2 megapixel microscope camera. Pollen captured at 100x with U1B microscope. 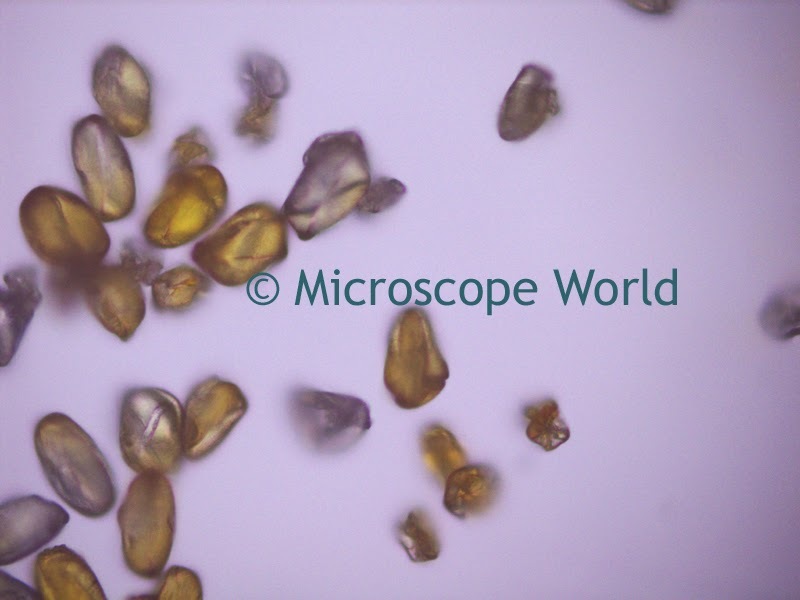 Pollen captured at 400x with U1B microscope.